Get affordable style in a tile with this structured polypropylene range, where good looks and durability meet economy. 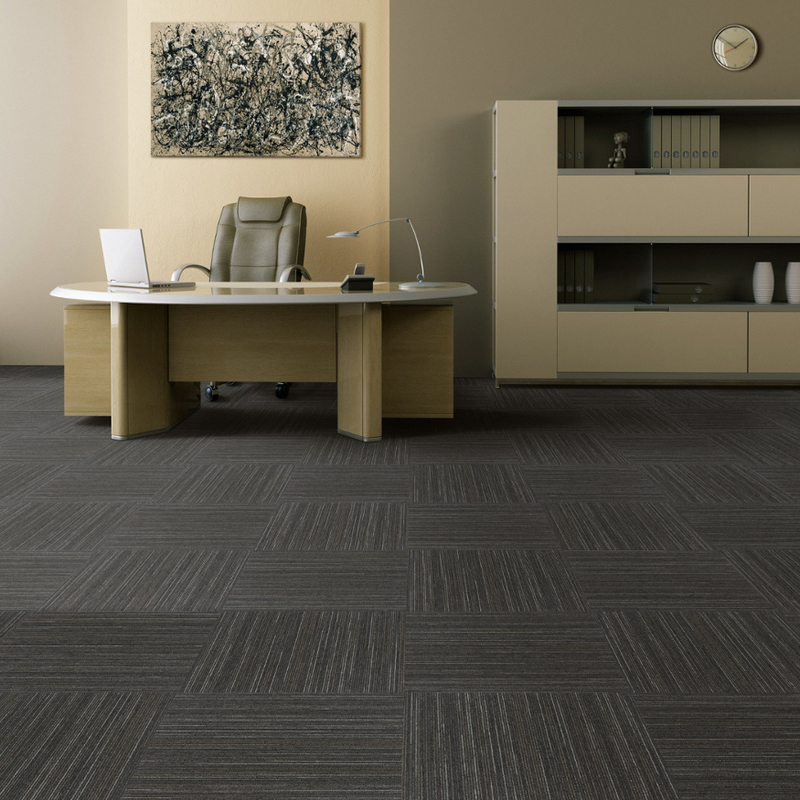 Fringe’s textured tufted surface provides a fashionable, yet comfortable foundation that performs well in corporate or general office areas or medium commercial zones. The soft multi-scroll loop pile adds texture and tonal variations in a subtle hi-low linear design - ideal for comfort, insulation and hiding soiling - while the Stainproof Miracle Fibre ensures the floor retains its good looks, is easy to clean and durable without breaking the bank.